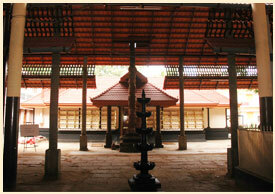 HAL Ayyappan Temple is one of the oldest Ayyappan temple in Bangalore. The plan for the temple, idol of Lord Ayyappa, Lord Ganesha and Goddess Devi were made by renowned Temple Architect Shri Kannipayur Krishnan Namboodiripad. 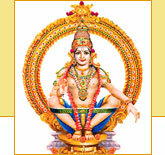 The foundation stone for the temple was laid on 27th October, 1976. The Prathista of Lord Ayyappa, Lord Ganesha, Goddess Devi was performed by Bramhashri KPC Vishnu Bhattathripad on Punardham Star of Medam 1977. With immediate effect the following new Vazhivad are being introduced, the devotees who are interested may kindly contact the Office for advance booking.